These chocolate salted caramel cupcakes will make you swoon. 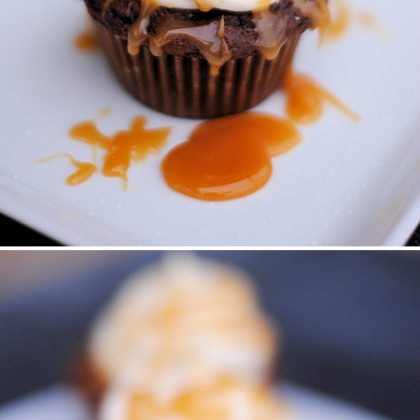 A soft, light chocolate cupcake topped with salted caramel buttercream and drizzled with homemade caramel sauce. They are perfection. Combine all ingredients and mix until well combined. The batter will be fairly thick. Pour into cupcake tins lined with papers.